Julius Seligmann, son of August and grandfather of Wolfgang, lived a life filled with conflict. As I’ve written previously, he was shunned by his family for converting to Catholicism and marrying Magdalena Kleisinger, a Catholic woman. Since their first child Walter was born in February, 1925, I assume that Julius and Magdalena must have married by 1924. According to family lore, he had to pay his family a substantial sum of money, causing him great financial distress. Since writing previously about the challenges Julius faced, I’ve learned a bit more, thanks to Wolfgang and some documents he was able to find. One thing that Julius tried to do to address his financial condition was to secure some money from the estate of his uncle, the James Seligman who moved to England and died in 1930. Although we now know that James’ widow had control over the estate for the duration of her life and the principal was not to be distributed for over another fifty years, Julius was obviously in great need of money and hoped to be able to get some of what must have been a substantial amount of money. As translated by Wolfgang, in this letter Julius was asking the bank how to contact James’ widow in order to ask her for some money. He wrote that he was having a lot of financial problems after the bank closed down and that he had had to apply for a “Vergleichsverfahren,” which is apparently a method used by debtors that is somewhat like a bankruptcy proceeding. Julius told the lawyers he was looking for a thousand Reichsmarks in order to take care of his most urgent debts. 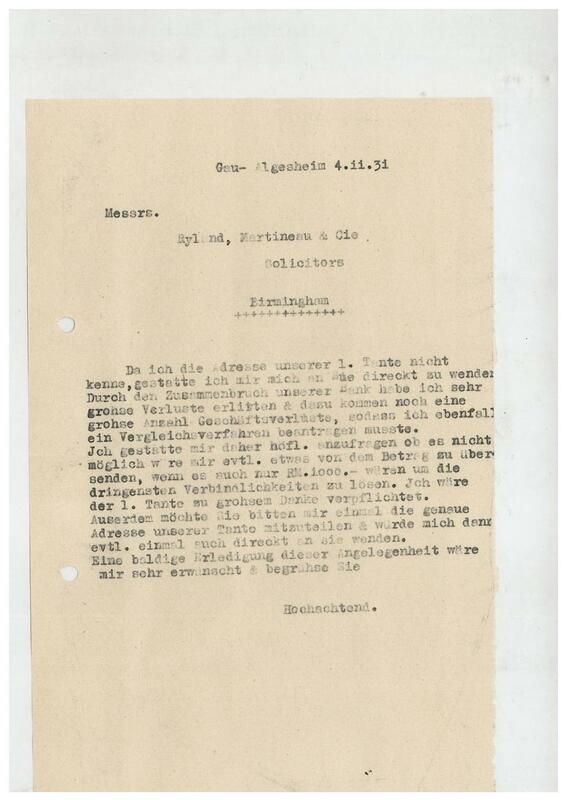 In June, 1932, Julius received the following letter from his cousin Moritz Oppenheimer. Moritz, who I wrote about here, was both a successful businessman and a horse breeder with a large stud farm. 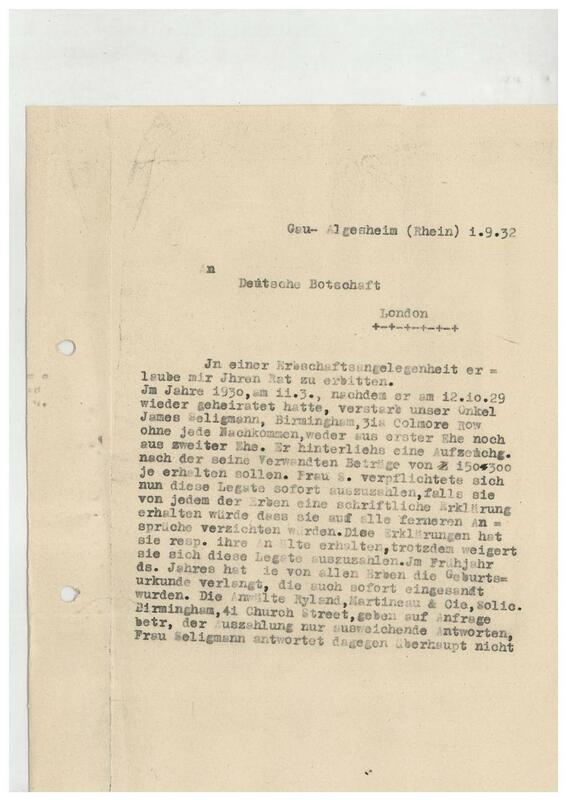 From this letter, as translated by Wolfgang, it would appear that Julius had asked Moritz to go to England to see if they could resolve their claims against the estate of James Seligman. Moritz had responded that he thought such a trip might be successful and that it was only necessary for one person to go. (It’s not clear who he thought should go.) But Moritz also wrote that he was traveling and not at home and that Julius should contact him and he would be glad to help. He also wrote that he was not available on Sundays as he was at the races—horse races, I’d assume. 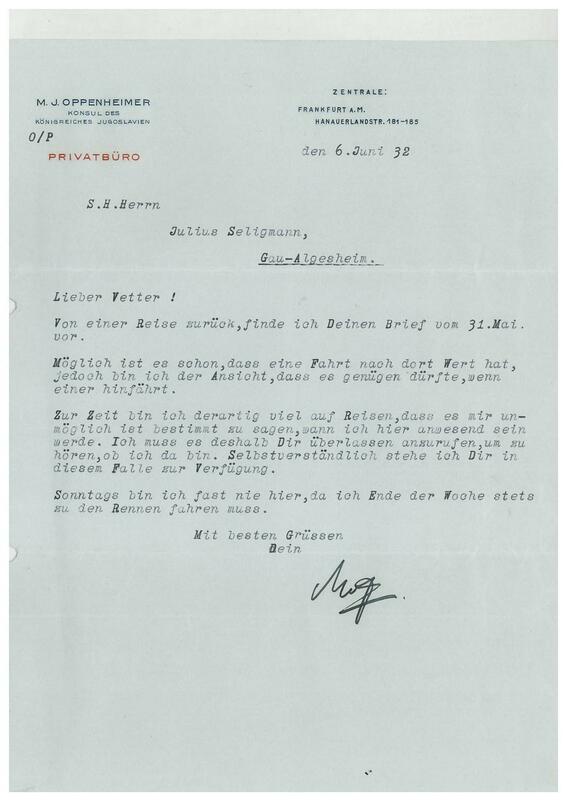 In September, 1932, Julius wrote the following letter to the German embassy in London, seeking a lawyer there to help him with his claim against the estate of his uncle. According to Wolfgang, Julius wrote in this letter that he had been notified that since his uncle had not had any children, he and other relatives were to inherit 150 to 300 pounds as their inheritance. He asserted that the widow had promised to pay this money, but had never done so, and that now neither she nor her attorneys were responding to his requests for payment. He commented that his economic situation was not good and that they needed to do something quickly. I do not think anything came from any of these attempts to get money from the estate back in 1932 as we know that Julius eventually was forced to close his store in Gau-Algesheim in 1935 and move to Bingen in 1939. Both the Hellriegel book about Gau-Algesheim and Wolfgang suggested that the chief of police in Bingen had extended protection to Julius and his family despite knowing that Julius had Jewish roots. Wolfgang recently spoke with someone who knew his father Walter during the war; he told Wolfgang that everyone in the community knew that Julius had come from a Jewish family, but that no one cared. This man’s father, like the prior in the Rochus chapel I wrote about last time, spoke out against Hitler and the Nazis. It would appear that there were a good number of people in Bingen who were opposed to the Nazis and did what they could to protect the Jewish citizens. Sadly, however, it was not enough. This entry was posted in Gau-Algesheim, Germany, Holocaust, Seligman/Seligmann and tagged Bingen, Seligmann by Amy. Bookmark the permalink. 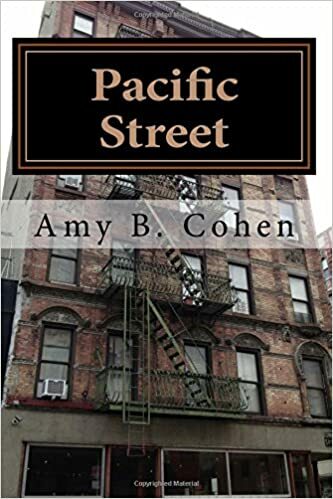 Amy you got a lot out of the correspondence and made it interesting to read. Good job. Thank you, but I couldn’t have done it without my cousin Wolfgang. What a fascinating post, Amy. I can just imagine how tight money was for so many in Germany during that period (having been a history student!). It must have been so frustrating for Julius to know that she probably didn’t need the money and he did. Thank you. You know, I hadn’t focused on the larger picture, but now that you’ve mentioned it, of course, this was the period of economic distress that contributed to the rise of Nazism. Thanks for helping me focus on that.